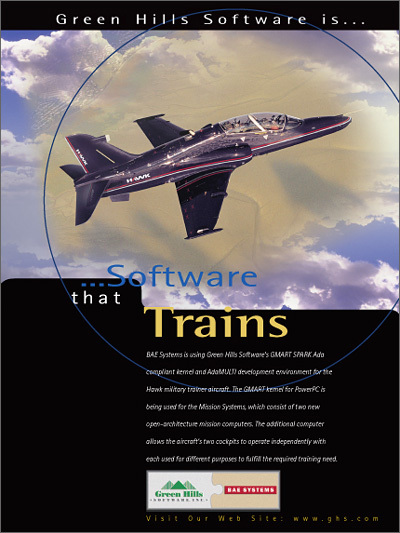 BAE Systems is using Green Hills Software's GMART SPARK Ada compliant kernel and AdaMULTI development environment for the Hawk military trainer aircraft. The GMART kernel for Power Architecture is being used for the Mission Systems, which consist of two new open architecture mission computers. The additional computer allows the aircraft's two cockpits to operate independently with each used for different purposes to fulfill the required training need.